Recover Resilience - Rocket Trauma Therapy Welcome to Recover Resilience! 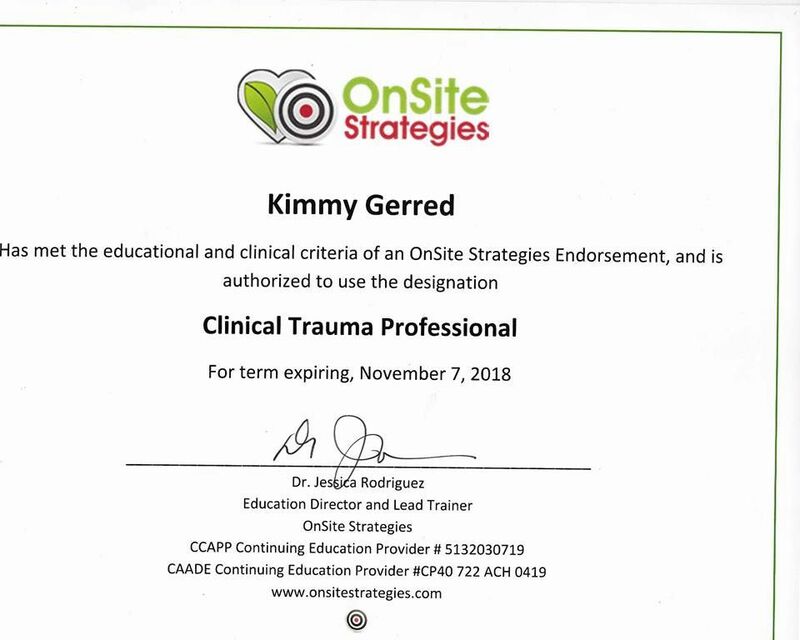 Kimmy Gerred, CCTP is a Clinical Certified Trauma Professional. Also, a Board Certified Christian Counsellor by the American Association Of Christian Counselling, a Certified Wellness Coach and a Natural Homeopathic Healer. * Scan your body ever 4 min to see if you have any muscles tense, if so intentionally relax them. * One way to know all of your muscles are relaxed is by relaxing the pelvic muscle. * Watch this EMDR Youtube http://bit.ly/BestEMDR 1-3 times (make sure you are paying attention), then watch it again if you ever have a hard day. ALL NEW NU*TRI*GE*NO*MICS! Click here!